May also choose sculptures on village. Buy also posters on village life. Also select some batik paintings on village life. Also see our collectio on village scene. Each Indian state has a different approach to art, a different way of expressing themselves through art. Since India is a multi-ethnic country, you can see varied forms of folk art throughout the country. 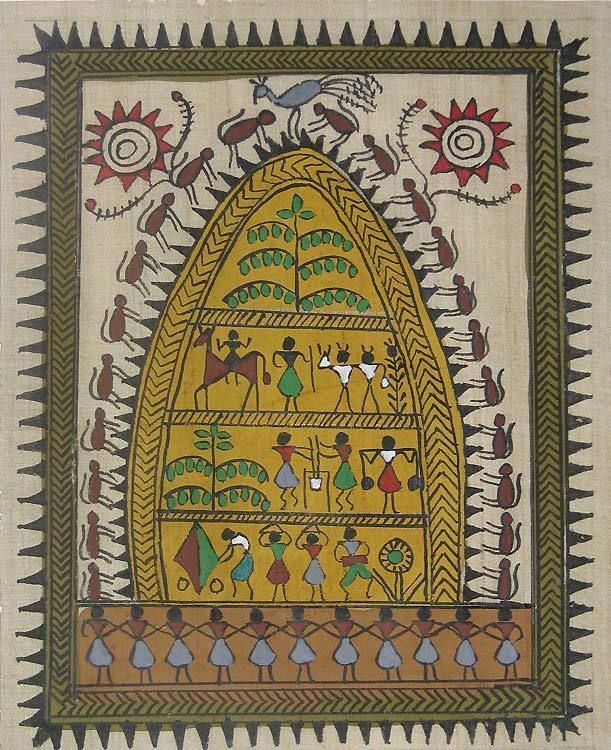 The painting featured here deals with the Warli Art, one of the most famous arts of Maharashtra. 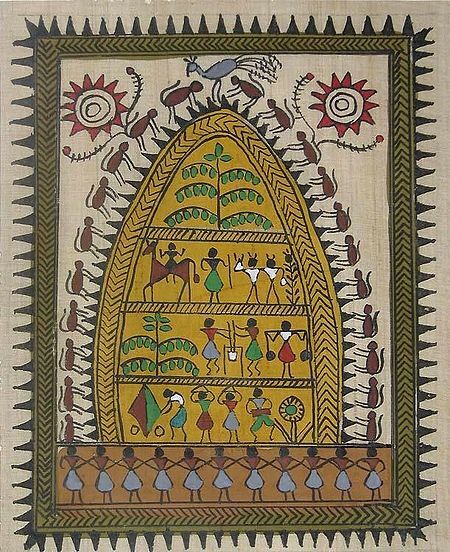 The unique thing about Warli Art is that it uses stick figures to portray certain stories and situations. The painting you see here is done on fine Tussar silk fabric and depicts the entire village life scene at one go! It shows typical situations like people riding horses, flying kites, ladies carrying matkas or pots, dancing, people pulling out water from a well and even animals like monkeys and deer. These small miniature figures are painted cleverly to take up the minimum space on the canvas, yet communicate the general idea of the painting to the maximum extent.